(1750 square feet) Comfortably holds up to 75 people. This bright open space has a full southern wall of windows adjoining the upper level of a greenhouse, and a cathedral ceiling. (1000 square feet) Comfortably holds up to 30 people. 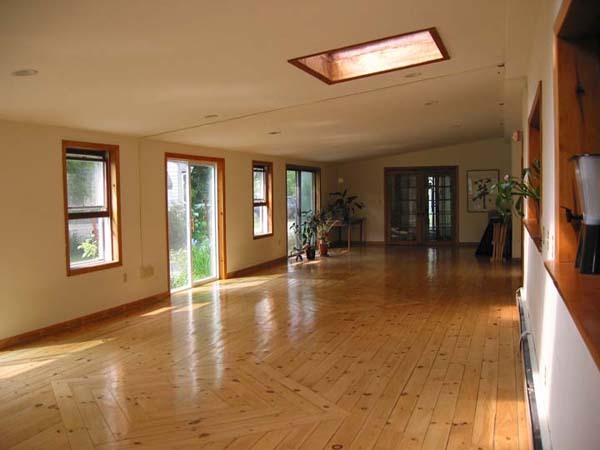 This bright, spacious room has a polished hardwood floor. It is directly adjacent to the Guest Suite and also has a private entrance from outside. Cushions, mats and chairs are provided. 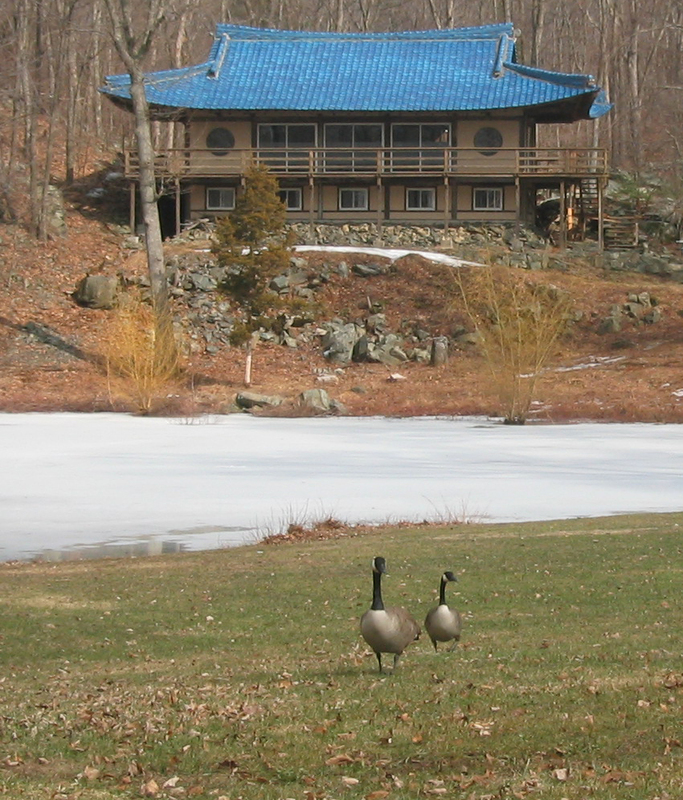 Guests are invited to walk around the 50 acre property. There is a beautiful pond near the dining room. There are meeting spaces of various sizes throughout the Retreat Center that can accommodate various groups. The larger, more formal rooms are pictured and described above. In addition to the rooms displayed above, at certain times of the year (mostly Spring and Fall) the Monastery may be available. 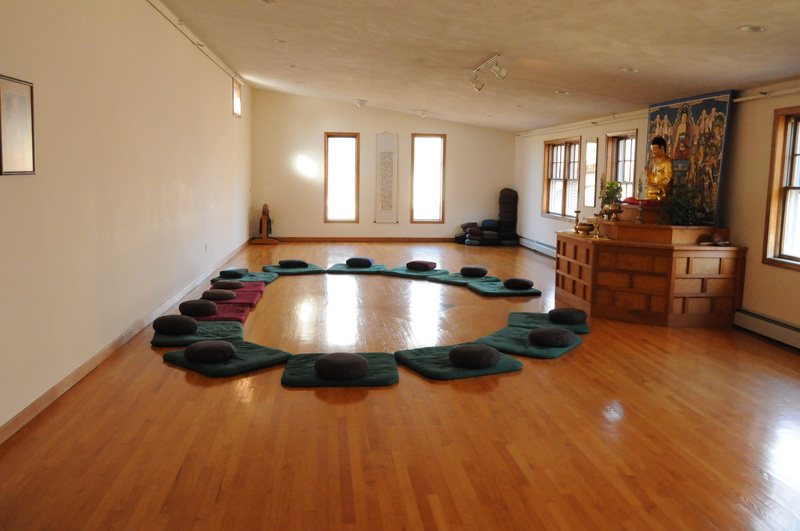 Providence Zen Center has office space available. 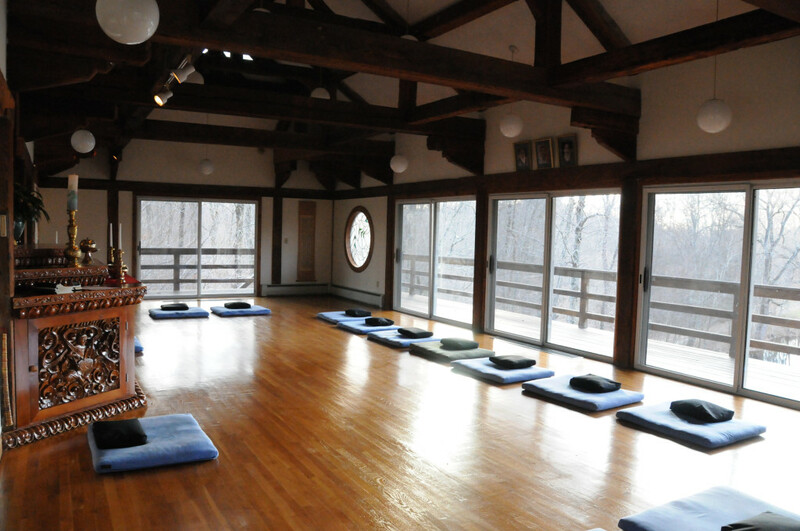 Located in a meditative and healing country setting. Three offices including a kitchenette and one full bath. 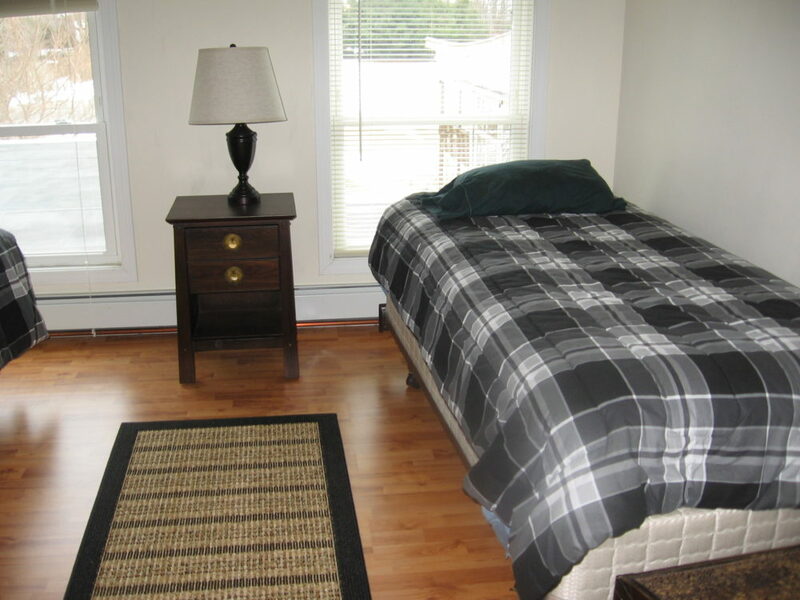 900 Square feet, free parking with all utilities included. Ideal for healing, acupuncture, therapy, writing, massage, new age healing, photographer, artists…Extraordinary opportunity, contact us to see if we are a good fit for each other! We have many guest rooms like the one pictured above, with larger rooms overlooking a pagoda. In addition, we offer a skylit partitioned space. The open area will sleep about eighteen people on futons; the floor is carpeted wall-to-wall. This private, self-contained space includes a full bathroom (several available) and is adjacent to the Upstairs Meditation Room. For extra-large groups, we have overflow sleeping areas available. Most rooms have mattresses on bed frames, with available extra futons on the floor. We have bedding and towels available for your use. In some cases, guests may need to bring their own sleeping bags, pillows, towels, and toiletries. 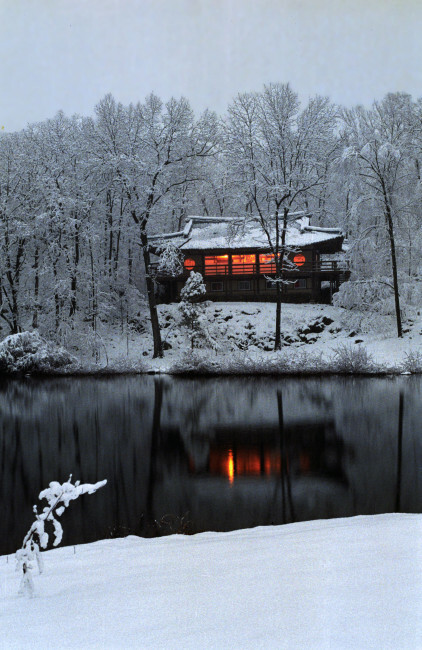 Overnight guests are welcome to use the sauna and enjoy our 50 acres of beautiful land. Outside shoes are left in the racks at the entrances. During the cooler months, it is a good idea to wear socks and bring indoor slippers. Smoking is permitted fifty feet from the main building. Not permitted on the grounds: meat, including fish and poultry; alcoholic beverages and illegal drugs; firearms. Please do not bring pets into the Zen Center. Video recording is not permitted. Please ask permission before making audio recordings and still photographs. The general environment is quiet and meditative. 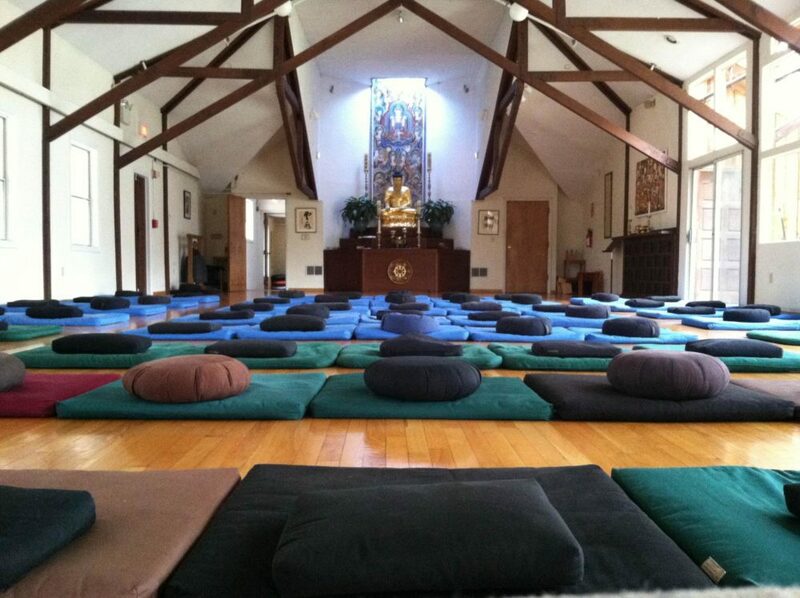 Unless specifically included in the Rental space, Guests are asked not to enter the Monastery (on the other side of the pond) without first getting permission from someone on the Providence Zen Center staff. There may be a Meditation Retreat taking place during your rental stay. For more information or to reserve your group or events space, please contact our Director director@providencezen.org or 401-658-1464.